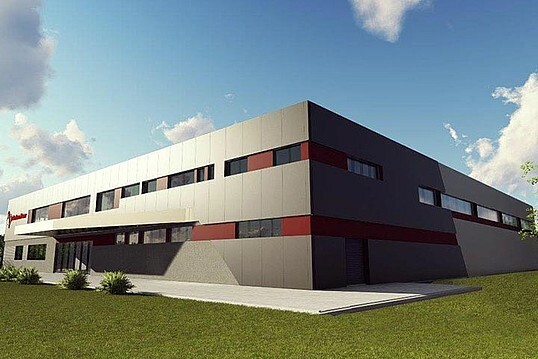 Anton Paar ShapeTec BA is moving its site from Derventa, which was a rented location, to the close area of Sijekovac. There, a 1,900 square meter building is build. It will be finished by December at the latest and opened in January 2018. The new production hall will have enough space to double the current production capacity. Bernhard Urch (General Manager Anton Paar ShapeTec BA d.o.o.) and Johannes Bernsteiner (General Manager Anton Paar ShapeTec) and other members of the management were present on June 29, when the first cut of spade for the construction work took place. At the moment Anton Paar ShapeTec BA has 30 employees, that number should increase within the next months as new employees will be hired.